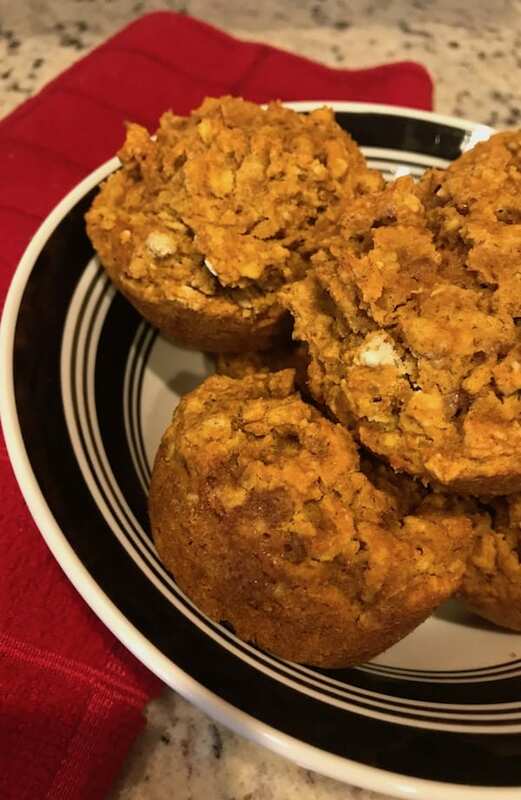 Gluten-free pumpkin muffins are delicious at any time, regardless of the season. I appreciate them in the fall and winter, but there is no point in limiting yourself. If you want them in the spring or summer, go right ahead and make them. My husband and I enjoy all food—nutrition-packed dishes as well as sugary treats that aren’t so nutritious. These muffins are a great balance of sweet and healthy. Enjoy them at breakfast with an omelet or a piece of fruit. Did you know that pumpkin is loaded with vitamins and other essential elements? For that reason alone, we should all eat it year-round. 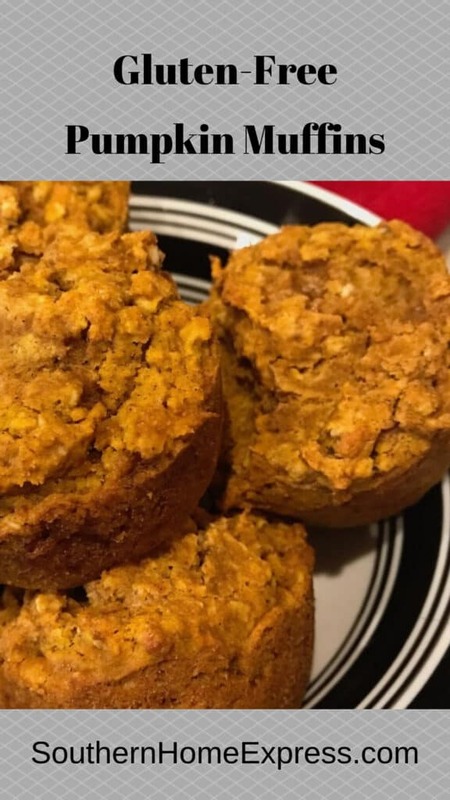 Whether you have a pumpkin pie smoothie or eat one of these delicious muffins, you can rest assured that you’re doing a good thing for your body. This is a versatile recipe. If you like nuts of any kind, chop them up and fold them into the batter. However, if you prefer to leave them out, that’s fine too. They’re just as good either way. Since our granddaughters were spending the night with us when I made them, I chose to leave out nuts. I think the girls would like the extra crunch, but I’m not sure. You can also add some applesauce to the batter. A couple of tablespoons will give you some extra nutrition and make them even moister. I’ve made them both ways, and for the most part, I can’t tell the difference in taste. If you ever want to add even more nutrition, you can. In fact, people who claim to dislike veggies will still love these muffins. Some of the easiest vegetables to add include shredded carrots, chopped spinach, and summer squash. You can also add steamed zucchini that has been run through the food processor. Be careful not to overdo the additions because you don’t want to hide the pumpkin flavor. 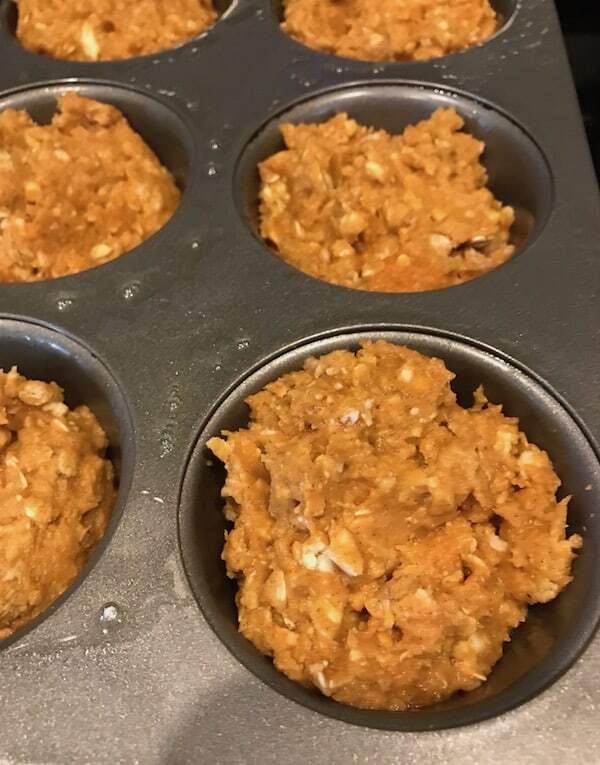 You can make smaller muffins by not filling the muffin tins. Add or decrease the amount of pumpkin pie spice to satisfy your family’s taste. A little bit of applesauce adds moisture as well as flavor and nutrition. Additionally, if you want more texture, add chopped nuts. Although this is a gluten-free recipe, you can use regular flour if you want. Unless you have a gluten issue, it doesn’t matter. Allow the muffins to cool for at least 5 minutes before removing them from the pan. Otherwise, they might fall apart. Although these muffins are gluten-free the way I make them, you can use regular all-purpose flour. It doesn’t matter, as long as you use the same amount. 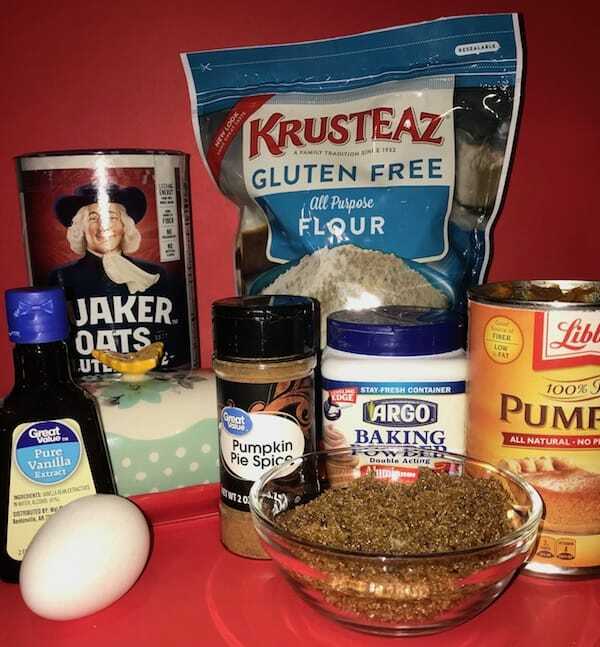 You’ll need flour, rolled oats, canned pumpkin, brown sugar, butter, an egg, baking powder, pumpkin pie spice, and vanilla extract. Combine the oats, flour, baking powder, and pumpkin pie spice in a medium-size bowl. Next, mix the butter, brown sugar, and eggs in a large bowl. Gradually pour the dry ingredients into the wet mixture and stir until it is well mixed. I don’t recommend beating muffin mix because it will develop more of a cake-like texture. Scoop the mix into 8 medium-size muffin cups that have been sprayed with nonstick cooking spray. Bake for 18-20 minutes and remove from the oven. Finally, allow them to cool before you remove them from the tins. Serve your gluten-free pumpkin muffins with eggs, ham, or just with a cup of coffee. You can also enjoy them for an afternoon snack or light dessert. You can also put them on a dessert table with peanut butter cookies, macaroons, and other sweet treats. Pumpkin is one of those foods that typically shows up in the fall and seems to disappear after the holidays. That’s unfortunate because it is so wonderful. Pumpkin is rich in vitamins and minerals, as well as antioxidants. In addition to boosting your immune system, it helps promote heart and skin health. Can Eating Too Much Pumpkin Turn Your Skin Orange? Pumpkin is one of the many foods that can cause your skin to take on a yellowish-orange cast. However, you’d have to eat quite a bit of it for that to happen. Due to its abundance of nutrients, many people consider pumpkin a superfood. Incorporating it into a healthy diet will add even more health benefits. These muffins are delicious at any time of day. Serve them with fruit or an omelet for breakfast or in the afternoon for a quick pick-me-up. Preheat oven to 375 degrees. Spray a muffin tin (medium-size cups) with nonstick cooking spray. In a medium-size mixing bowl, combine the flour, oats, baking powder, and pumpkin pie spice. In a large bowl, mix the butter and brown sugar until it is well blended and has a creamy texture. Add the eggs and mix well. If you’re using a hand mixer, turn it on high for one minute. Or you can beat it by hand for two minutes. Add the pumpkin and vanilla to the wet mixture and blend well. Add the dry ingredients to the pumpkin mixture and stir until everything is combined. Don’t over-mix it, or you will wind up with a cake-like texture. If you want to add nuts, do it now and fold them in. Distribute evenly in the muffin cups. Remove the muffins and allow them to cool for at least 5 minutes before removing them from the muffin pan. 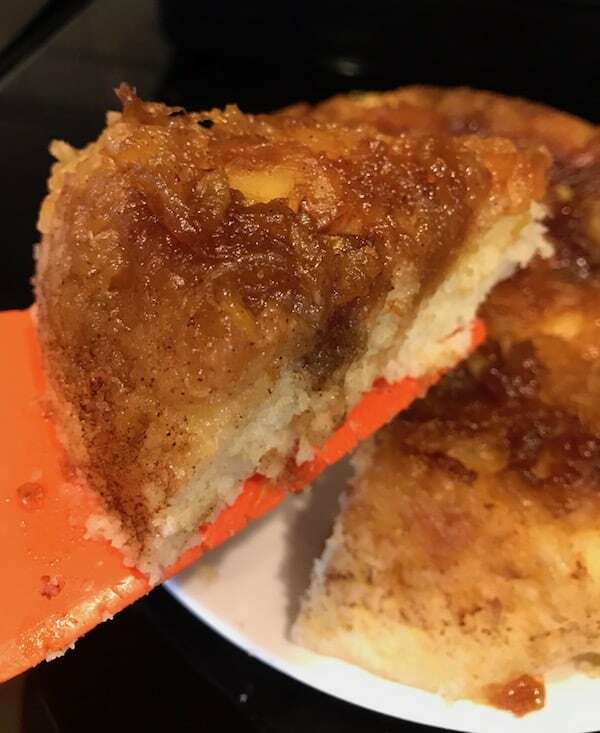 While you’re in a baking mood, you’ll certainly want to try this pineapple upside down cake and these peanut butter cookies. Surprisingly, the cake practically bakes itself in your rice cooker. 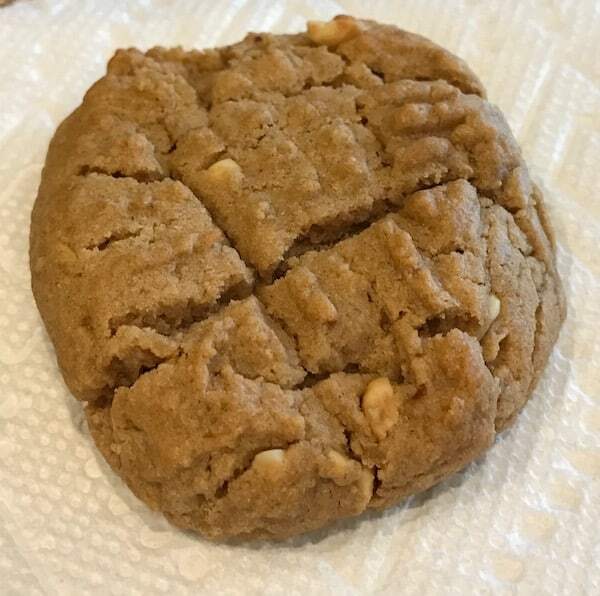 And the cookies will melt in your mouth. Thanks, Julie! They are delicious and super easy to make.